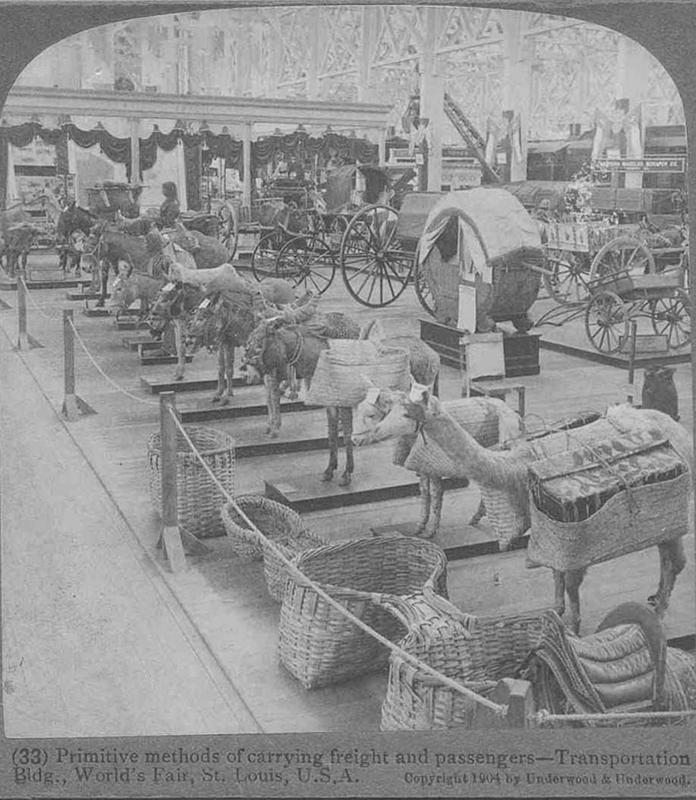 Transportation methods from horse, camel and ox cart to steam locomotive, automobile, and airship could be seen daily at the Fair. 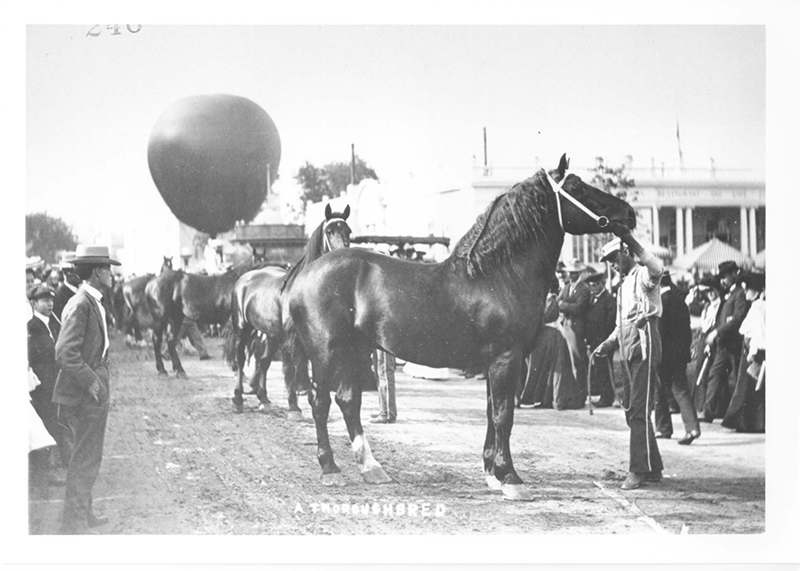 The old and new ways existed side by side allowing fairgoers a close view of the progress of transportation methods. 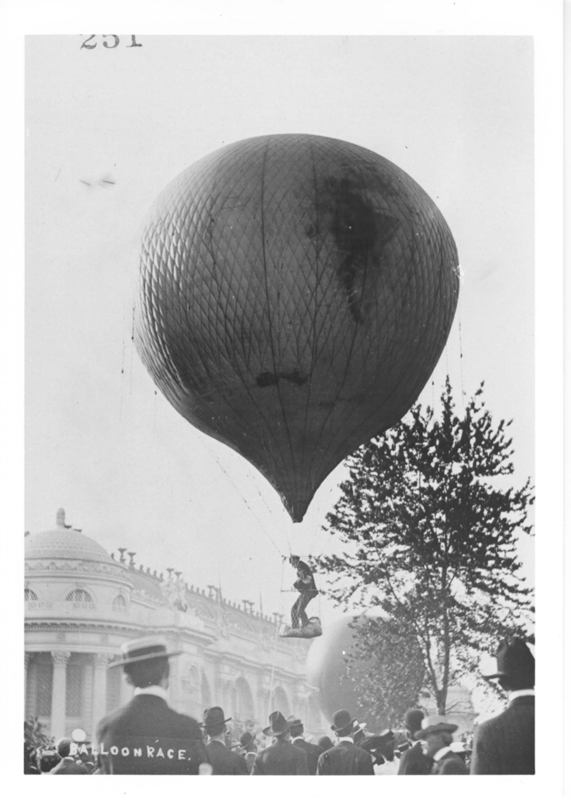 The St. Louis World's Fair was called an exposition of transportation because there were so many ways of getting around the Fairgrounds. There were also displays. 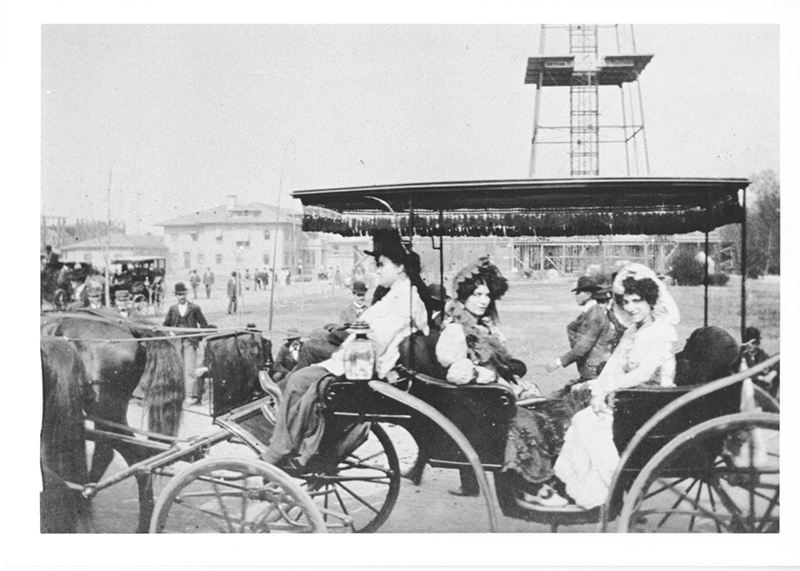 Some forms of transportation were part of everyday life in St. Louis like trolley cars and trains. 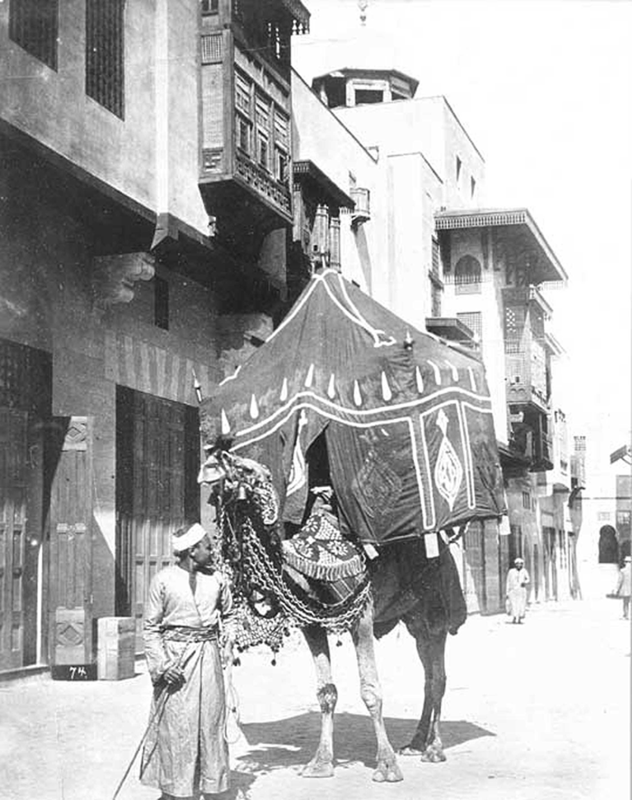 Other types of transportation were more exotic such as gondolas and rickshaws. 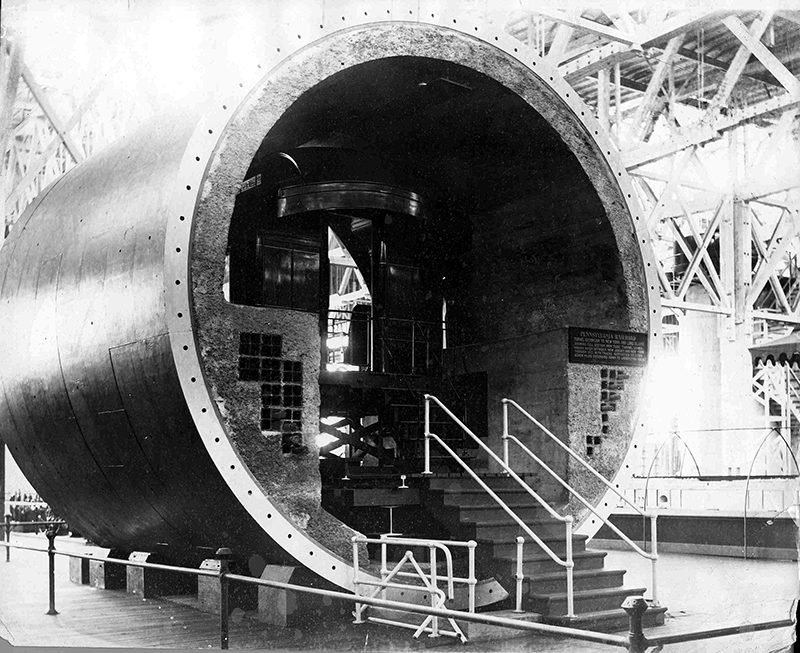 Still others were relatively new or unusual like automobiles and airships. Many of these forms of transportation were available for people to try first hand. 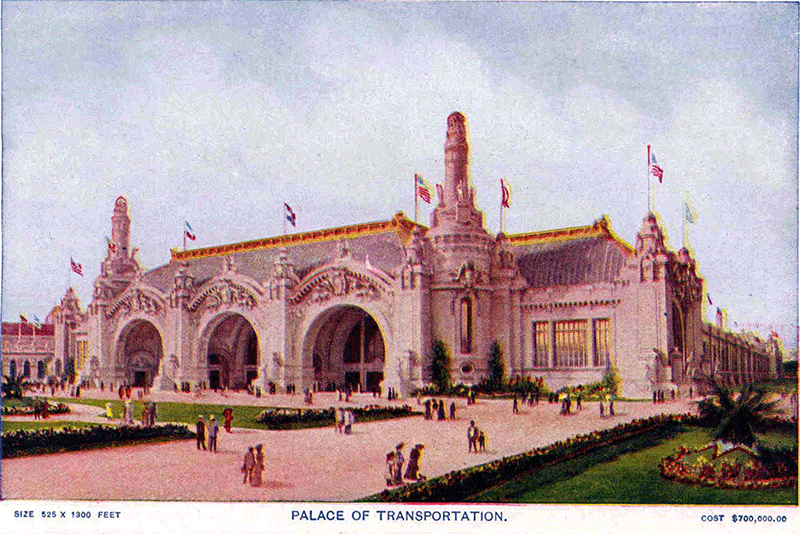 Others were only on display in the Palace of Transportation. 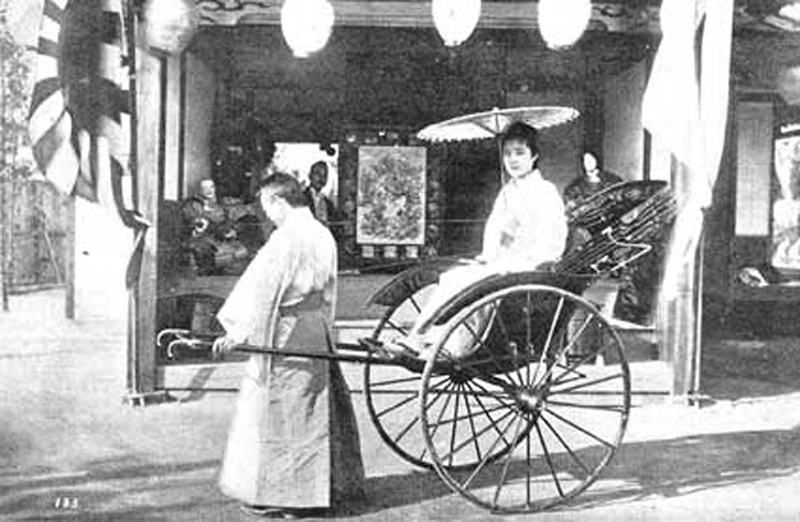 One form of transportation that was new to many fair-goers was the jinrikishaw or rickshaw used in Asian countries. People who came to the fair could purchase a ride in these. 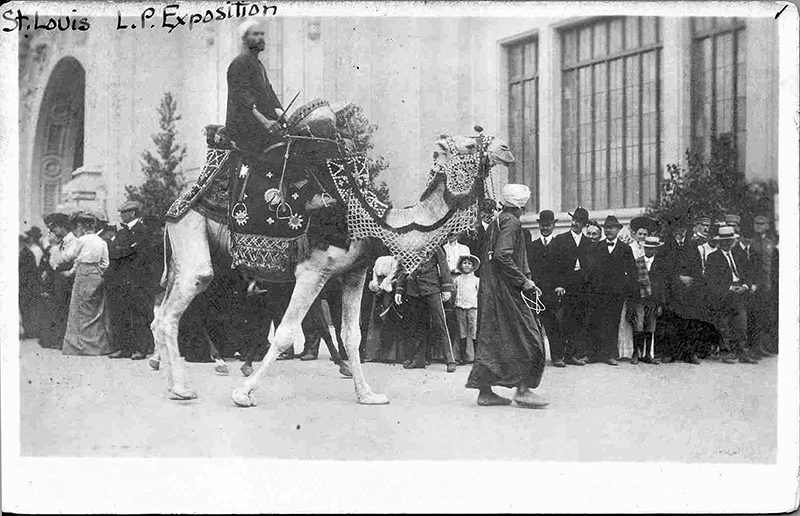 A man rides a camel through the Pike, while fair-goers at the Louisiana Purchase Exposition look on. 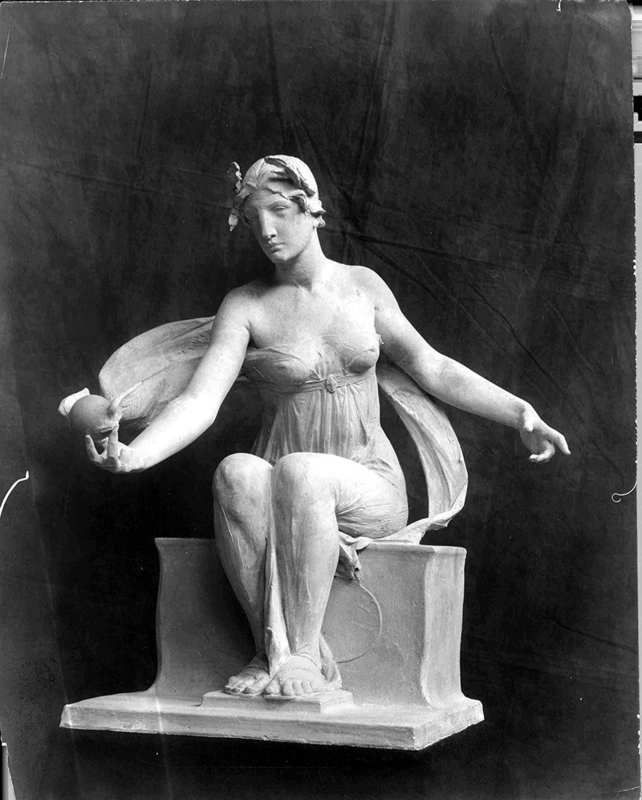 Sculptor. Born in Stuttgart, Germany, in 1874. Pupil of Taft in Chicago. 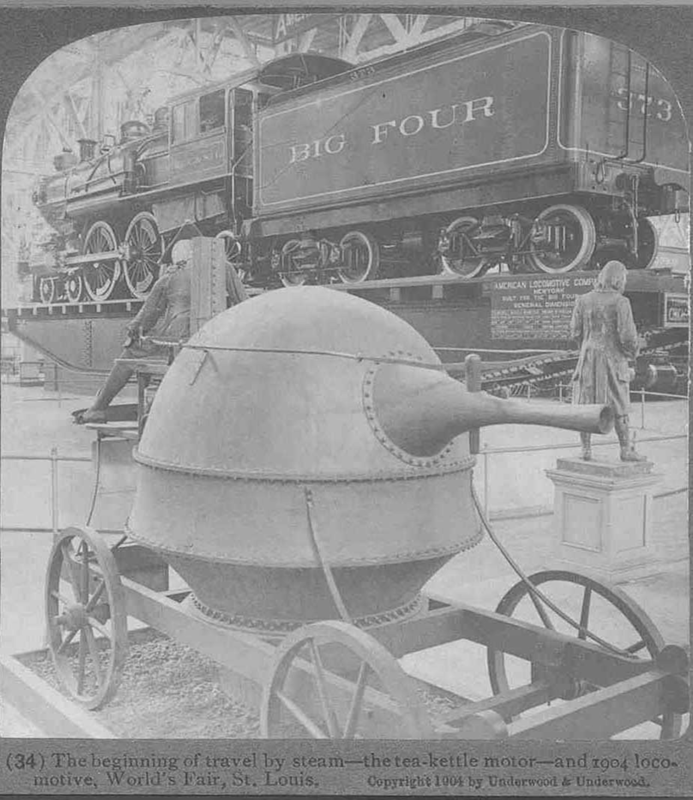 First tank locomotive used in England (1820) and other early styles, World's Fair, St. Louis, U.S.A.
View from the main launch. 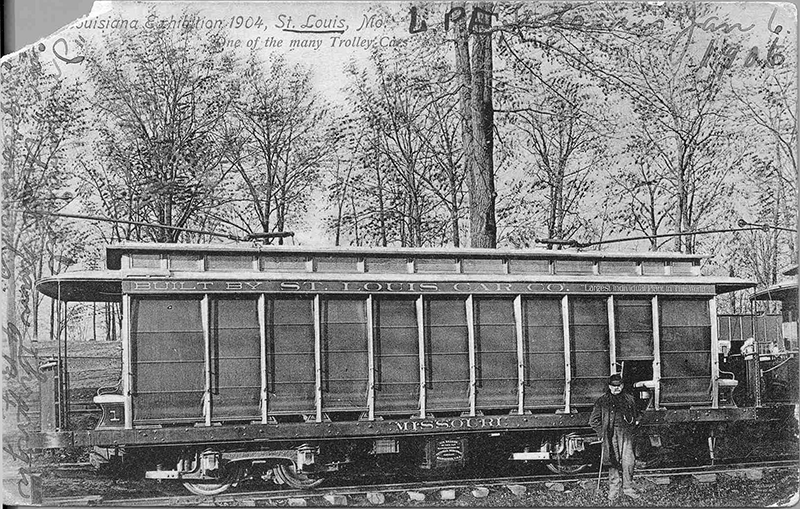 One of the many trolley cars : the Louisiana exhibition, St. Louis, Mo. 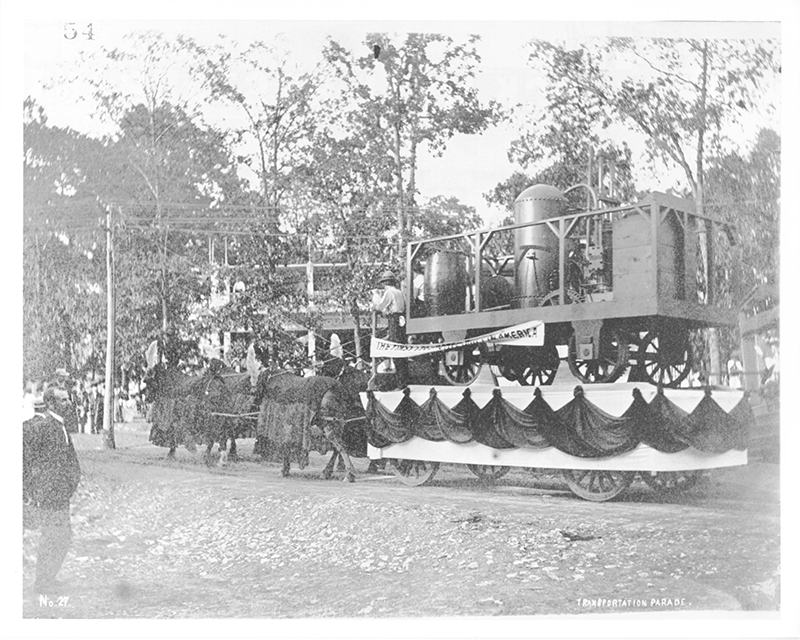 Visitors used trolley cars, or street railways -- operated by the Transit Company and the St. Louis & Suburban Railway Company, to reach the fair grounds. 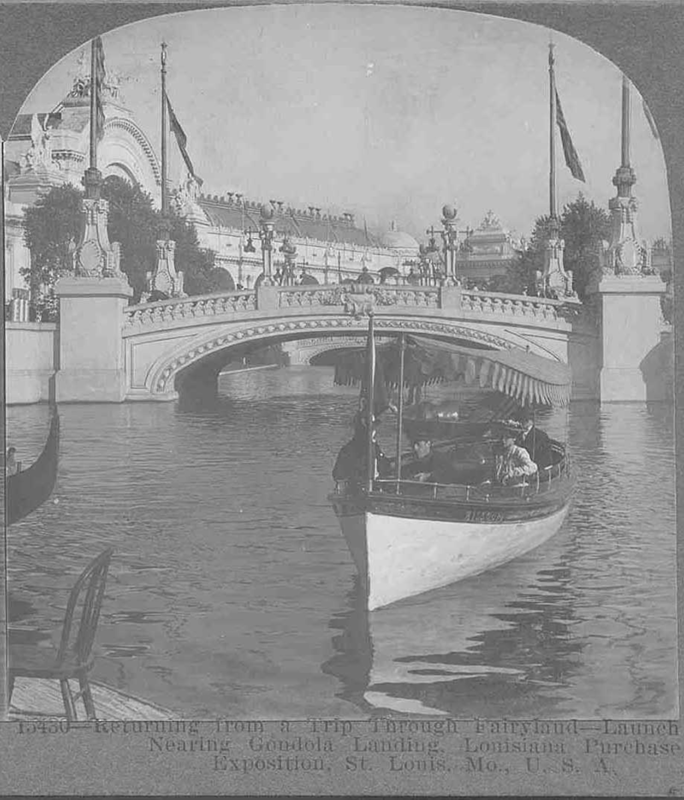 The fare was $ .05 within any point in the city; children under 12 paid half fare; under five, free. 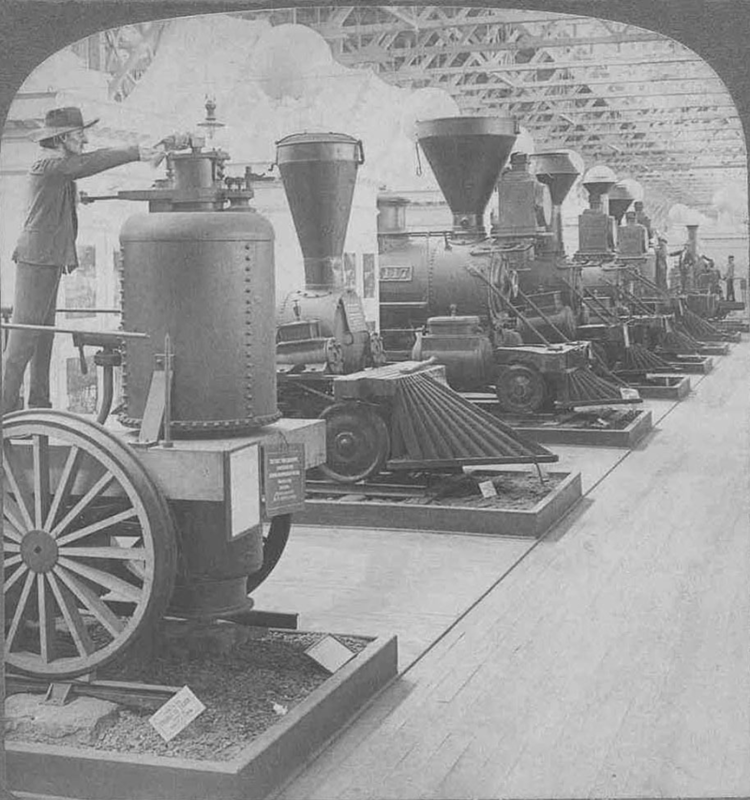 In intermural railroad served visitors within the fair grounds. 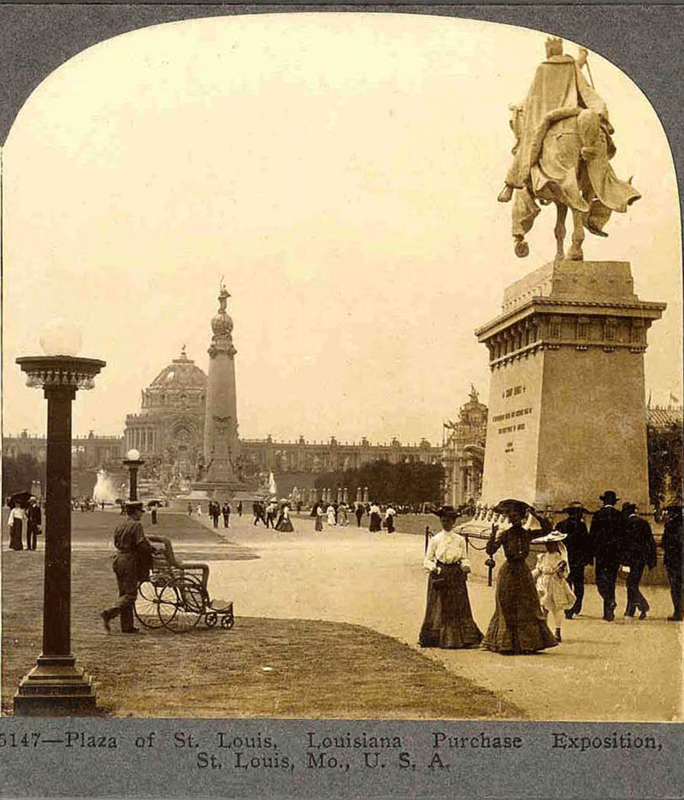 In viewbook: St. Louis World's Fair souvenir mailing guide, by Bernhard M. Graff. 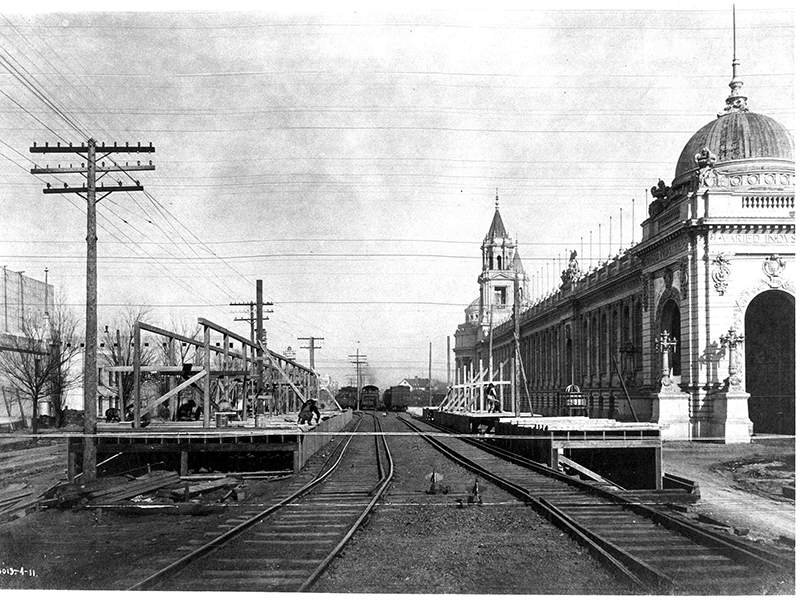 In this photo, workmen are constructing platforms for the Intramural Railroad alongside railroad tracks near the Palace of Varied Industries. The Intramural Railroad was a double-track electric line with 17 stations. Its tracks were seven miles long, and a ride cost 10 cents. 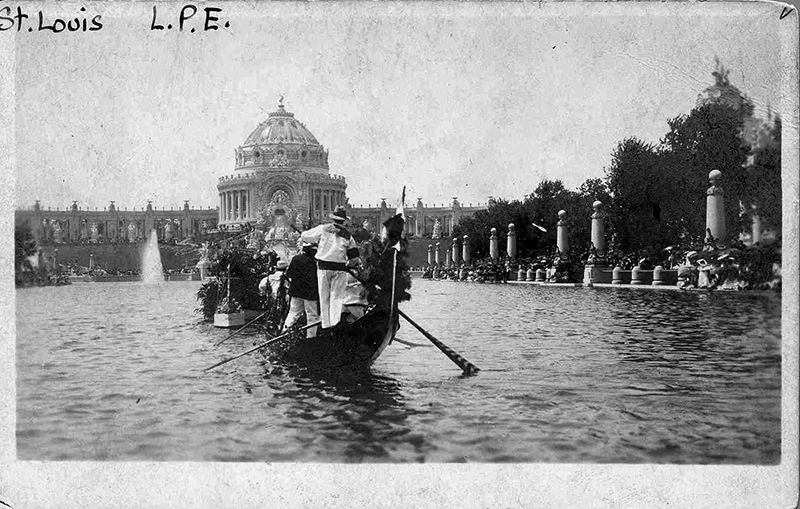 This craft is one of a score or more of Venetian gondolas, which carry passengers on the lagoons at the World's Fair. They are propelled by native Venetians, who learned their skills in the canals of their beloved Venice. Many of them sing Italian songs for their passengers as they push their boats lazily along. There are nearly sixteen acres of ground space under this one roof, occupied by exhibits showing the devices men have thought out for moving themselves and the things they need, from one part of the earth to another. Naturally most of the exhibits show the very latest ideas, but it gives some space also to comparisons of the new with such primitive ideas as you see here. The stuffed beast with the long neck is the South american llama laden with wicker panniers -- in many regions he still represents our own fast feight trains! The panniers on the floor have been recently used, some in South America and some in the Orient where donkeys carry them; beyond the llama there are several of the tough, long-eared little fellows, some with pack-saddles tightly cinched as they would be if a load of merchandise had to be toted over a Mexican mountain trail or a Turkish waste of wild lands . 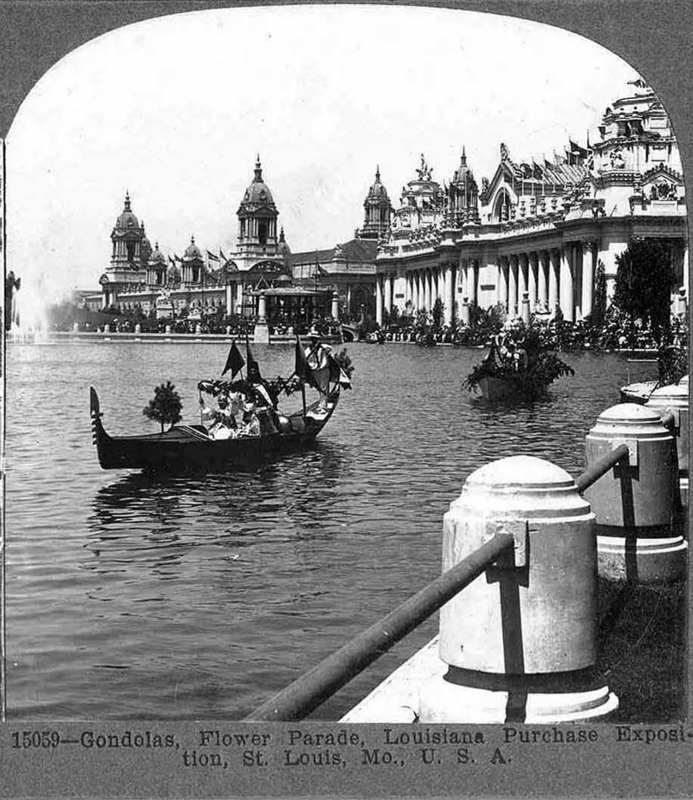 'Liberal Arts' Day, celebrated by the exhibitors of that department of the World's Fair, was distinguished among other things by a great floral parade in which the prominent society people of St. Louis participated. 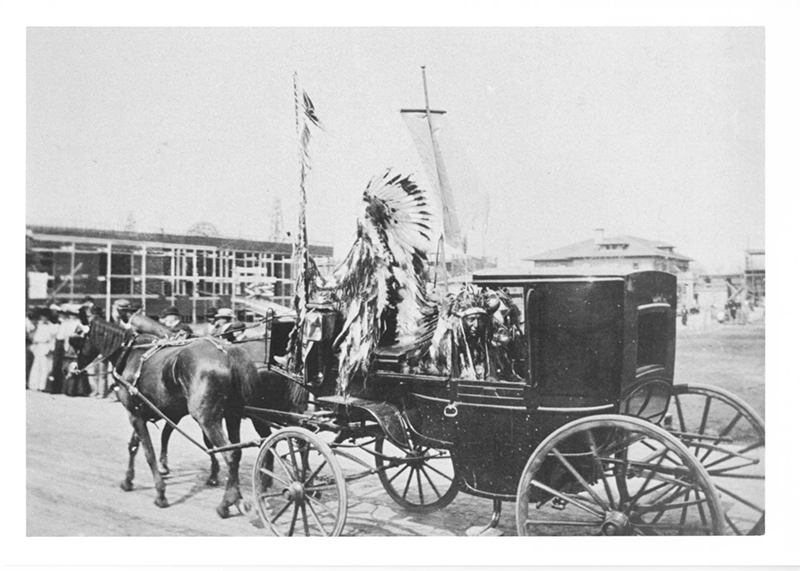 The Grand Blooded Horse Show parade took place on August 23, 1904. Registered animals representing twenty breeds took part. 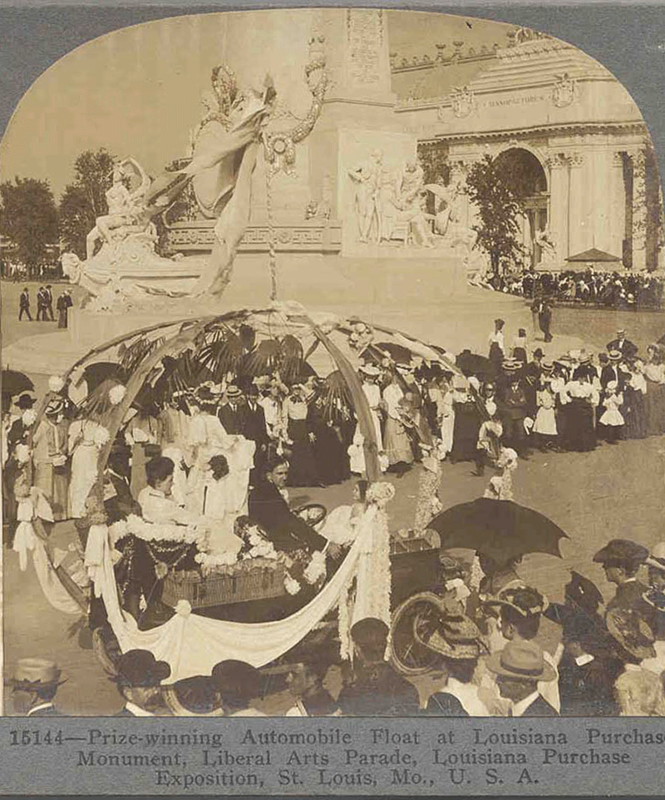 The parade was reviewed by David R. Francis, president of the Louisiana Purchase Exposition Company, Col. Charles F. Mills, chief of the Live Stock Department, and other officials. Sculptor. Born in 1863. 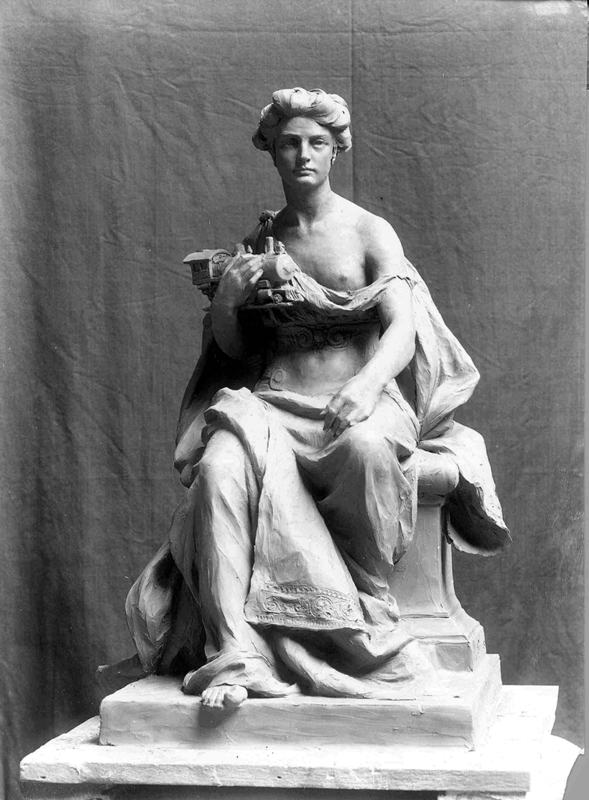 Pupil of Imperial Academy of Fine Arts in Vienna; National Academy of Bucharest. Did University City, Mo., "Lions" sculpture on gates near City Hall. 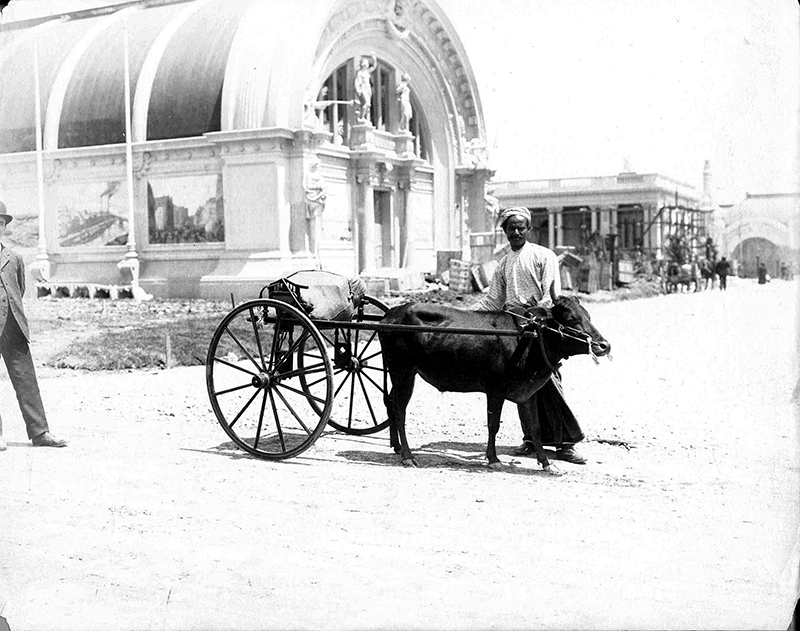 Two women ride in a horse and carriage at the Louisiana Purchase Exposition. The DeForest Wireless Telegraph tower appears in the background. 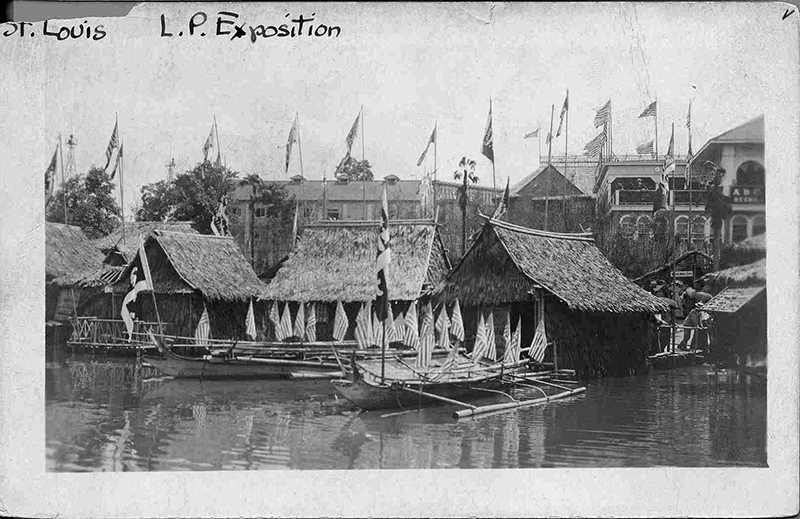 Catamarans decorated with American flags are docked at thatched-roofed huts at the edge of Arrowhead Lake in the Philippine Village at the Louisiana Purchase Exposition. 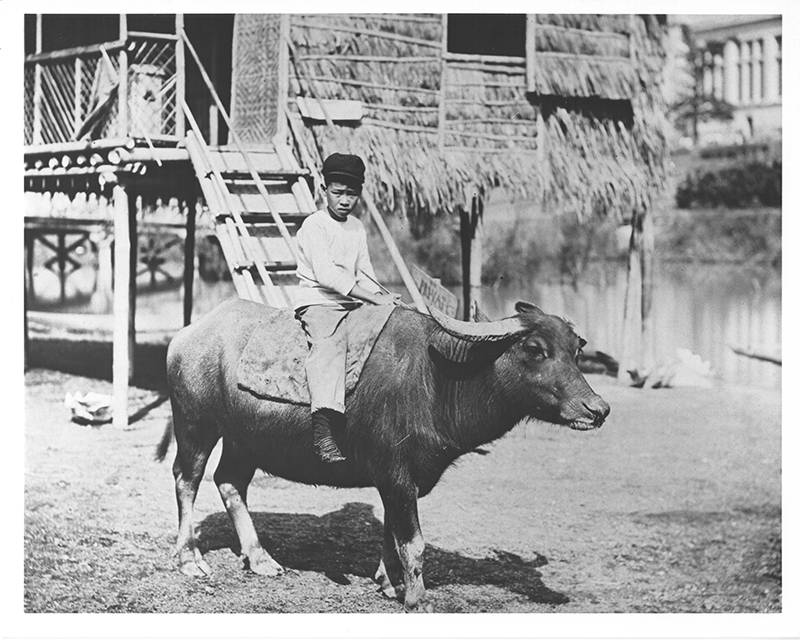 A Bisayan boy rides a carabao, or water buffalo, in the Visayan village at the Louisiana Purchase Exposition. 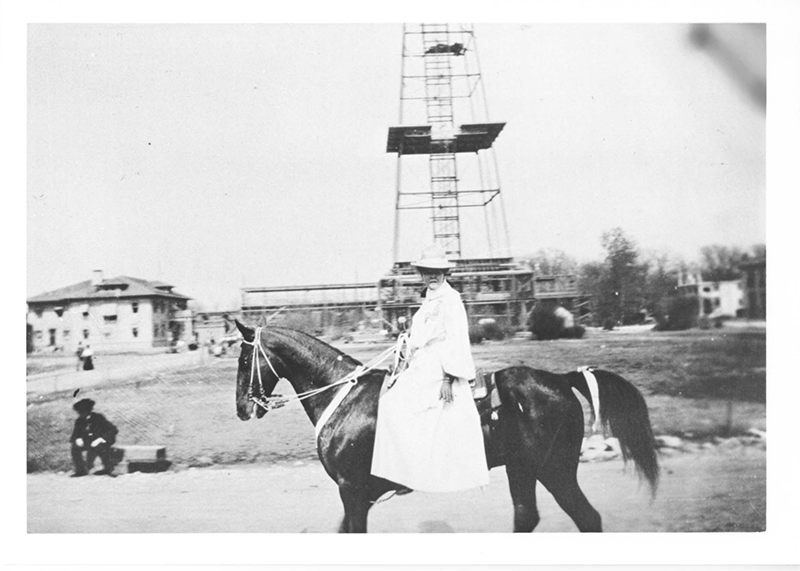 The DeForest Wireless Telegraph tower appears in the background. It allowed communication between St. Louis and Chicago, Springfield, and Kansas City. Among the many attractions of the great trained animal circus none is more interesting or amusing to the children than a ride in the zebu cart. The zebu, more commonly known as the sacred ox, is an animal possessing the best qualities of the horse and the cow. 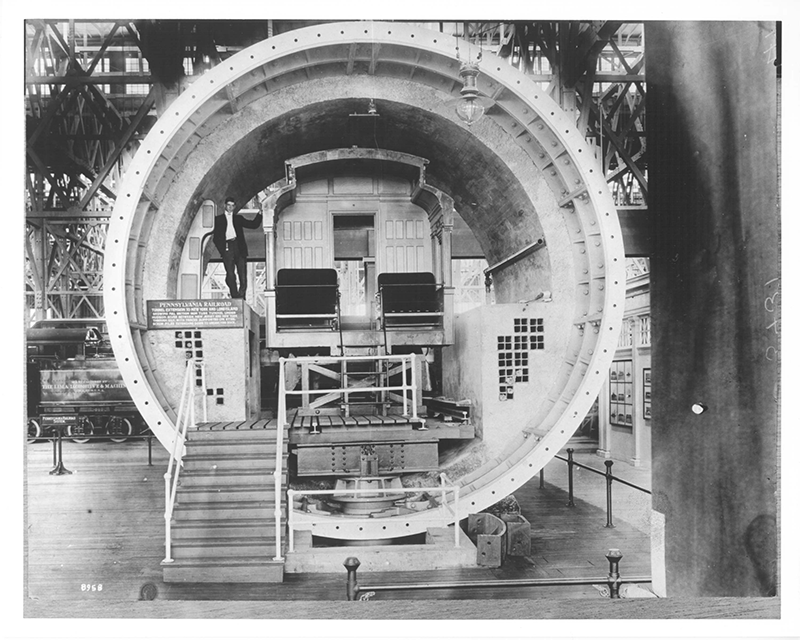 Fair-goers visited the Palace of Transportation to view a full-size section of the Pennsylvania Railroad tunnel that was being constructed between Jersey City and Long Island, extending under the Hudson River in New York City.